The new 3M Speedglas Auto Darkening 9002D welding helmet sets a new standard for performance and clarity for price/value conscious customers. The welding helmet features two shades and two sensitivity levels and offers better performance than traditional filters. Users can select the shade and level that works best for them. 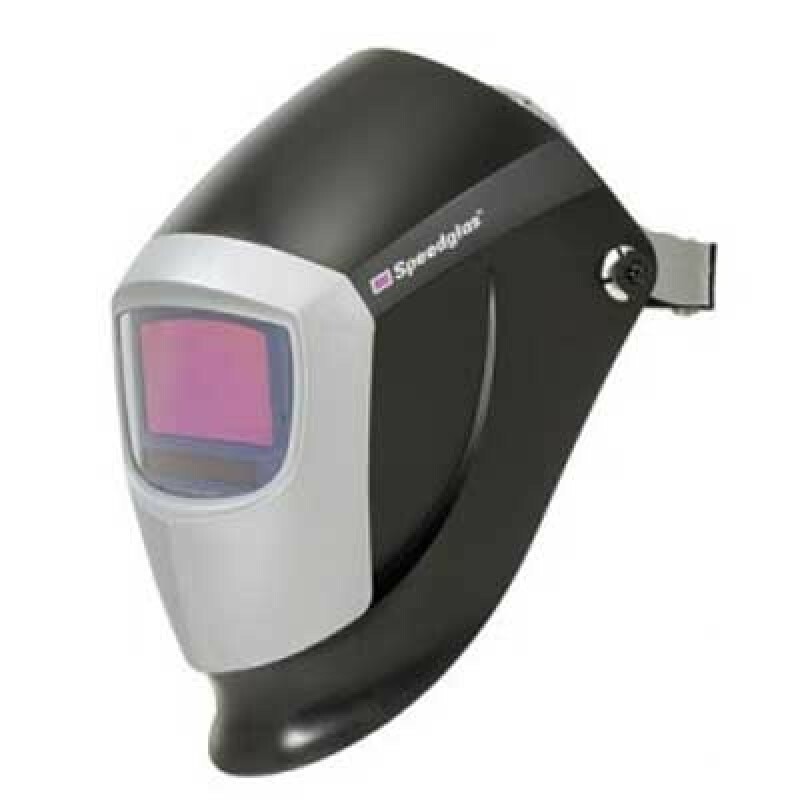 The Speedglas 9002D filter has independent arc-detectors that instantly sense the welding arc, immediately triggering the filter to change from the light shade to the dark shades. The welding helmet is designed with four aerodynamic exhaust vents to help reduce "stuffiness." Helmet is extremely comfortable, weighing only 17.4 ounces (including filter) and has excellent balance. The polyamide nylon construction is heat resistant and extremely durable. 3M Speedglas 9002D Auto-darkening filter for stick, MIG and TIG welding processes above 20 amps. Shade 3 light state, with an off state of shade 5 which can be used for gas/torch work. It has two sensitivity levels and is easy to adjust to the welder's preference. Eye-level sensors are difficult to block. Estimated battery life is 2000 hours. Auto-off turns off filter 60 minutes after last arc. Viewing area is 3.57 in x 1.68 in (91 mm x 43 mm). Operating temperature 23 degrees F to 131 degrees F.
Ideal for MIG, Stick welding and TIG welding above 20 Amps.